Blinds can then be dipped into the ultrasonic cleaning solution which is either water, a solvent vapor, or a conducive liquid. The blinds are removed when all the dirt, dust, and other unwanted substances have been removed. Ultrasonic blind cleaners can be used with all kinds of blinds including metal and cloth. They are available in several sizes ranging from small, handheld designs to medium transportable machines to industrial sized units. The tanks of ultrasonic blind cleaners are usually made from stainless steel and are manufactured to be long and narrow in order to better accommodate the shape of standard and custom blinds. Ultrasonic blind cleaners keep mini and micro blinds, woven wood blinds, pleated shades, vertical blinds, cellular shades, vignettes and other types of blinds clean and germ-free. Because they thoroughly clean the blinds, ultrasonic blind cleaners can remove all sorts of germs, dust, stains, or general dirtiness from blinds. They are capable of cleaning soot, bacteria, grease, oils, paint, pollen, dirt, nicotine, and more from blinds of all sizes. In addition to cleaning the vanes on blinds, ultrasonic blind cleaners also clean the wands, cords, and headrails on blinds. 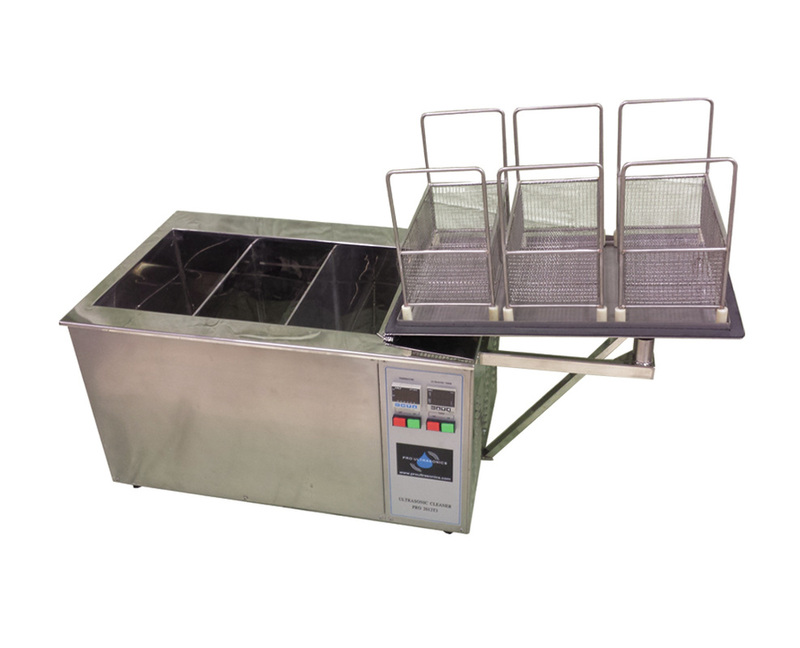 For many companies and individuals, the task of blind cleaning is outsourced to a business that specializes in performing ultrasonic cleaning. Companies may offer various services, including drop-off, pick-up, or send-in availability. Utilizing ultrasonic blind cleaning service providers saves time and ensures effective performance of the desired task. An ultrasonic blind cleaner is equipped with a transducer, a generator, and an immersion tank. The blinds are placed into the tank which contains a fluid conducive to ultrasonic frequencies. 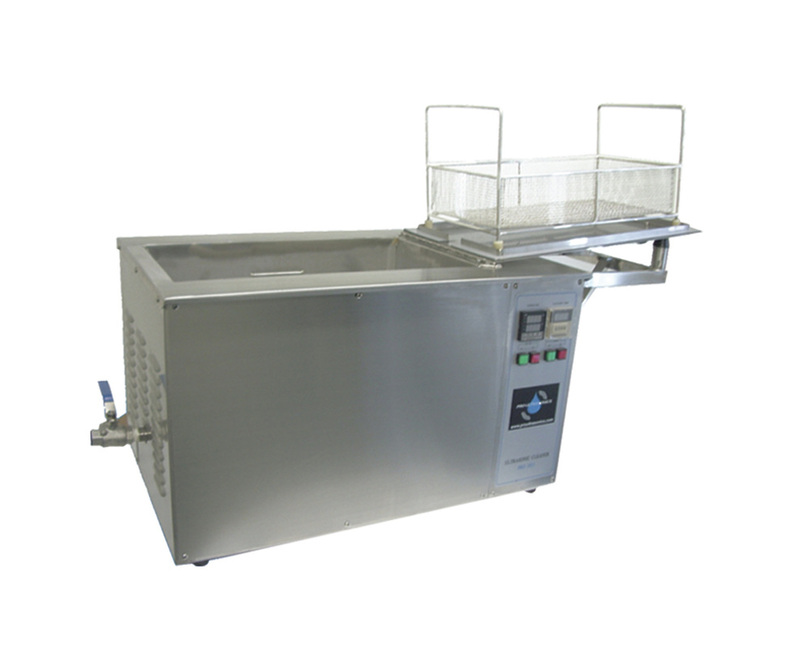 The ultrasonic cleaning process begins when there is cavitation, or production of bubbles. Cavitation is caused by the transducer that is either attached to the tank or submerged within the fluid. When the transducer introduces ultrasonic sound waves into the tank, innumerable, minute, and intense imploding bubbles release both energy and heat to provide a highly efficient method of cleaning both exposed and concealed surfaces of the immersed blinds. There is a direct connection between the frequencies used and the number of implosions which allows for a high level of control; high frequencies are ideal for the removal of very small particles without harming the surface of the blinds regardless of the material. Many blind cleaners also have a dryer for use with fabric. Ultrasonic Blind Cleaners An ultrasonic blind cleaner utilizes ultrasonic frequencies provided by transducers that convert electricity into intense frequencies and cause the formation and implosion of minuscule bubbles in a liquid cleaning medium.